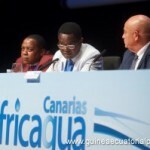 The Presidential Adviser on Energy, Miguel Epkua, participated in the inauguration of the Africagua fair, which is held these days in Fuerteventura, Canary Islands (Spain). Epkua presented the advantages of investing in energy projects in Equatorial Guinea. The fourth edition of Africagua was inaugurated on November 19 by the President of the Canary Islands, Fernando Clavijo, in the city of Puerto del Rosario (Fuerteventura). He also informed about the energy plans that are prepared in the areas of Annobon, Corisco and Bioko, with hydropower, solar and small wind farms. He also recalled that the Global Fund for the Environment has accepted the initiative of the Executive of Equatorial Guinea for the use of renewable energy in remote areas of the country, and invited international investors to encourage them to participate in these exciting opportunities for all. 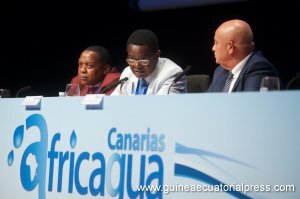 Equatorial Guinea, for another year, participates in this fair on water and renewable energy, held in the Canary Islands (Spain), and that has the African continent as a protagonist. Also delegations from countries such as Ghana, Cape Verde, Morocco, Senegal and the United States have placed their trust in Africagua as a platform for business and international collaboration.